It has been proven time and gain that jumping is more beneficial than jogging or running. Jumping helps improve cellulite, release toxin, build bone mass, and increase flexibility. It is feels amazing to think that an activity as simple and fun as jumping could be good for our health. And kids love doing it! Give them a skipping rope and they can jump around all day without realizing the health benefits they receive while doing so. 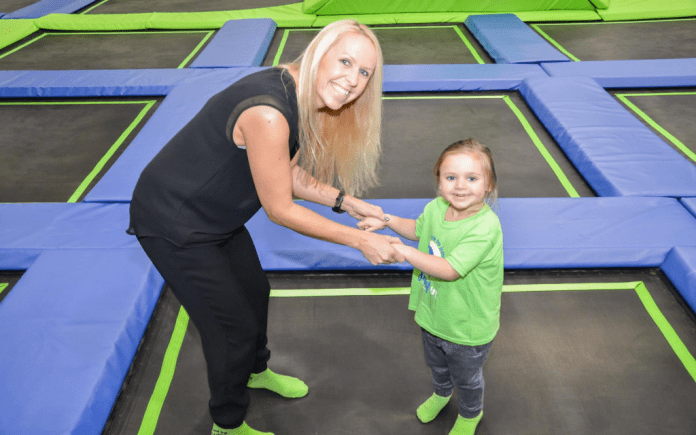 Parents who are aware of the health benefits that jumping brings don’t mind taking their kids to trampoline parks where the prospect of jumping or rebounding is tempting. Jumping for 5 to 10 minutes increases your white blood cells by three times and it will remain at that level for almost an hour after rebounding. The increase in white blood cells enhances your immune system. Jumping also stimulates the lymphatic system and boost the circulation of lymph in our body, thereby releasing the toxins from our body. As the toxin goes out of our system, it rejuvenates our immune system completely. Jumping serves as a great workout for the feet muscles up to the stomach muscles if you rebound on a trampoline even for a few minutes. When we jump, the feet is put under pressure which helps in blood circulation to the muscles. As a result, muscles become stronger if you jump regularly. Moreover, jumping gives us instant energy and enhance our flexibility. Overall, you will become fit and lean! Yes! Jumping regularly is a good exercise for your heart. It increases your cardiovascular health and keeps you away from heart-related and other diseases. The jumping exercise increases a child’s pulse rate and helps him breath more deeply. Taking deep breath allows your heart to pump out more blood to the muscles and, thus, improves your your cardiovascular health. Jumping stabilizes blood pressure and, as a result, helps prevent a number of diseases too. Jumping on a trampoline park can burn serious amount of calories Strengthened muscles combined with cardiovascular exercise helps lose weight. As muscles gets stronger, the metabolism rate increases. This increase in metabolic rate not only help process nutrients more efficiently, it also helps burn fat. The cardiovascular exercise also burns calories. Rebounding is a gentle exercise that that promotes weight loss. A 10 minute jumping session can burn as much as fat as 30 minutes of running. Bouncing up and down on a trampoline allows allows a child’s brain to function bilaterally. It teaches both sides of his brain and both sides of his body to work together in order to maintain coordination and balance when on a trampoline. As a result, the exercise helps increase their motor skills. Happiness is the key to superior mental performance. Trampolining releases endorphins which makes you more happier, more positive and more confident. Moreover, the sheer fun factor of bouncing up and down will always make you smile. Your mental health also gets improves with increased level of alertness. It helps in pumping clean oxygen in the brain and makes us more alert and attentive. Our mental health gets better as we feel more confident and our ability to comprehend things gets a boost! Thus, trampolining is an exercise in disguise which is perfect for kids who do not like taking part in sports lessons or any other physical exercise. By offering a fun way to attain physical fitness, jumping on a trampoline allows children to work out for a few minutes or more a day without them even realizing! Ian Alam is a blogger & writer from UK who specializes in writing about health & Fitness topics. Ian Alam working with Jump In Trampoline Arena that provides exhilarating experiences for fun-loving people of all ages. 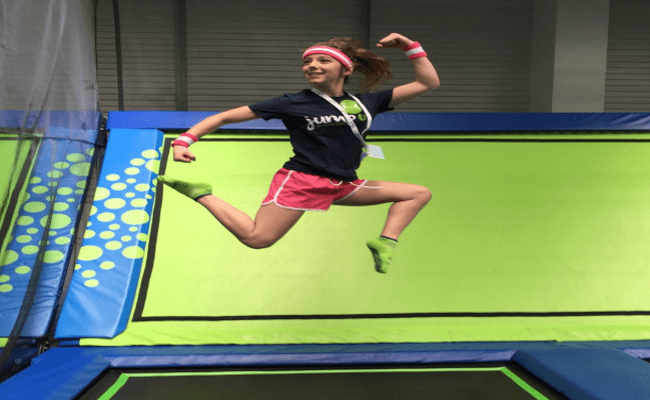 Find out why Jump In is much more than a trampoline park!